One of the Knights of Columbus core principles is Charity. Children learn by example, so what better way to instill charitable giving, then to feed the hungry of Hanover Township by participating in the Knights Challenge as a Family. Last year we expanded the Knights Challenge Run / Walk to include age appropriate events, including a Kids Fun Dash for children ages 3-10. At the conclusion of the 5K Run / Walk main event (approximately 9:30 AM), registered Kiddies will have their very own race for fun. The race will start in the parking lot and end at the same finish line as the 5K race. This was a huge success last year and we anticipate another great event for our 5th Annual Knights Challenge. We are once again offering discounted Family (3 or more participants registering together) and Student (18 and under) pricing options, so that more families and youths can participate this year. 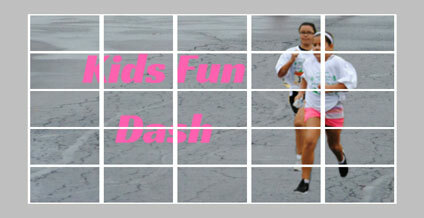 Register now to guarantee your official Kids Fun Dash race shirt, #1 race bib, ribbon award, sticker, and other special treats. Goodies only guaranteed for preregistered participants.